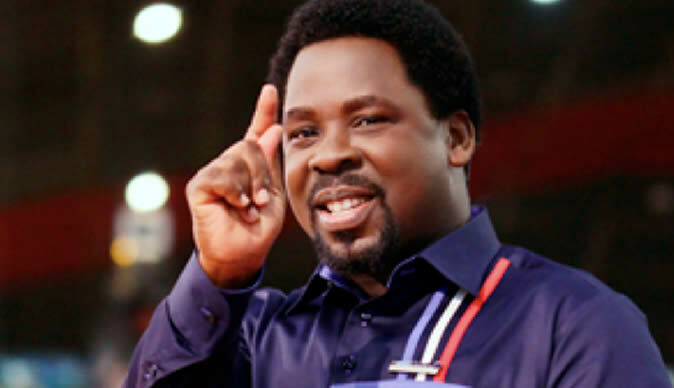 Bulawayo24 NEWS | TB Joshua prophesy on the military coup in Zimbabwe? A video showing Nigerian Prophet T.B. Joshua predicting impending military intervention in the government of a Southern African country has been circulating like wildfire on social media in Zimbabwe. The undated video shows the controversial cleric speaking to his congregation at The Synagogue, Church Of All Nations (SCOAN) in Lagos, Nigeria about military plans to "get rid of a President in a region of Southern Africa". "The military are interested in embarrassing a President - either they kill him or kidnap him," Joshua says in the clip which has been shared thousands of times on Facebook and WhatsApp. "They are still having that plan to kidnap either a President or Vice-President of that nation or the First Lady of that nation," the cleric stated, adding that this would cause "uproar". Joshua said he knew the country in question but would not directly name it lest it leads to undue "pandemonium". Before events unfolded on Tuesday with the military taking power in Harare, the prominent privately-owned Zimbabwean newspaper ‘NewsDay' featured the prophecy on the front page of their Monday 13th November 2017 edition, claiming Joshua had reiterated the prediction last week. Since the news broke of the Mugabe's being placed under house arrest alongside the return of ousted Vice President Emmerson Mnangagwa, many have linked unfolding events to Joshua's proclamation. "I'm not a fan of 'Prophets' but hate him or love him, TB Joshua had 'seen' this coming," wrote Zimbabwean Tich Ray on Twitter. However, Joshua's official channel ‘Emmanuel TV' has yet to release any video concerning the prophecy. This is not the first high profile prediction Joshua has given concerning a Southern African President after the video of him ‘prophesying' the death of Malawian leader Bingu Mutharika went viral in 2012 and led to an official judicial investigation by the Malawian government.